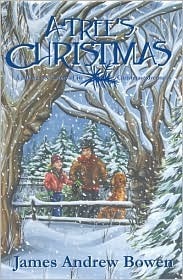 A Tree’s Christmas by James Andrew Bowen must be one of the most beautiful, magical tales of the season ever written. As has long been a family tradition, once the season is over the Christmas tree is taken out to the yard and placed in the garden to lay until spring. After this particular Christmas, the trees around the garden wake from their winter slumber to hear the story of the young fir and the important part he played in the family’s lives. Once in a while a seasonal story touches your heart in such a way you can’t help but share it. That’s certainly true of A Tree’s Christmas. I smiled. I cried. It truly warmed my heart. This is a book that will be treasured for years to come. The reading of A Tree’s Christmas would be the perfect tradition to start in your home. I know I’ll be starting it in mine. I received a free copy from the publisher. This review contains my honest opinion, which I have not been compensated for in any way.